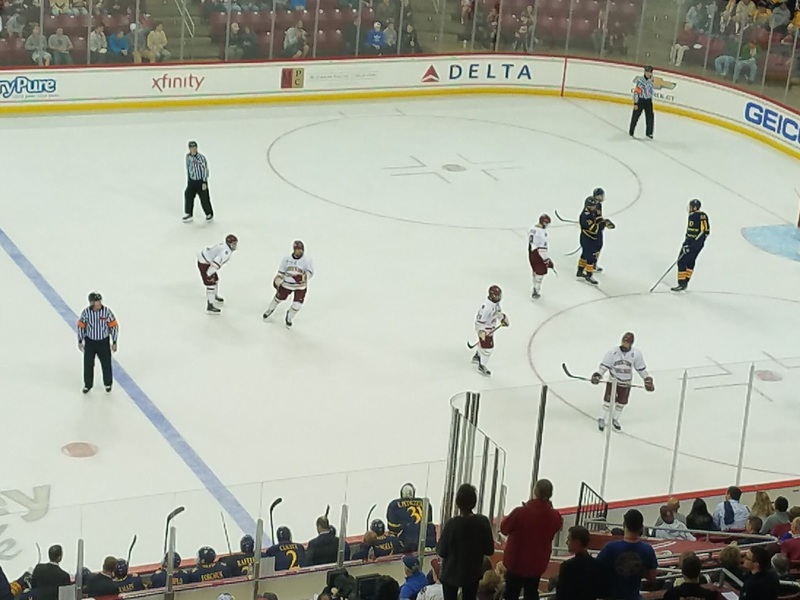 The 18th ranked Boston College Eagles opened up their season last week with a pair of road losses to the Wisconsin Badgers 3-0 and 7-5. For the team that was ranked 12th in the USCHO preseason poll it was not the way they expected to start the season. It also extended its win less streak against non Hockey Teams. The last time Boston College won a game against a team other than Hockey East was on November 13, 2016 against Arizona State. That is an eternity for a Jerry York coached team. The Eagles feature 11 draft picks on this roster highlighted by star freshman Oliver Wahlstrom a first round pick of the New York Islanders. Boston College returns 106 of 108 goals from last season as they had one lone senior on the roster. They add talented freshman Oliver Wahlstrom and Jack McBain into the mix. Quinnipiac may have caught a break as McBain is dealing with an illness and missed last weekends games against Wisconsin and reports are he may miss the game against Quinnipiac. Still this team has a lot of fire power across the board that Quinnipiac will have to worry about including the talented Wahlstrom. Quinnipiac needs to put a ton of focus on Wahlstrom as he has the ability to take over a game. You may remember Wahlstrom from his incredible goal in the Bruins mini one on one back when he was 9 years old. The team has more than just Wahlstrom as Hutsko, Cotton, Mattila and McPhee all posted more than 20 points a season ago and are primed for more this season. The Eagles have some talented defenseman but this is a defense that just gave up 10 goals in two games against Wisconsin. Seniors Casey Fitzgerald and Michael Kim lead the way as good offensive defenseman. Its a defense that features five upperclassmen but not a ton of size. Jesper Mattila, Luke McInnis and Connor Moore bring a steady presence to the blue line for Jerry York's team. I wouldn't expect this defense to allow as many goals as they gave up last weekend but this could be an area of weakness for them. The lone freshman is Adam Samuelsson the son of former NHL player Ulf. Junior goaltender Jospeh Woll a Toronto Maple Leafs draft pick has been the consistence presence in net for the Eagles for the past two seasons. He struggled last weekend against the Badgers but that should be a blip on the radar for him. The 6'4 Woll plays big in between the pipes and has the ability to make big time saves. He's won 17 games each the past two seasons and will carry the load again this season for the Eagles. Fresh off a quality 4-2 win over UConn, Quinnipiac continues its tour of Hockey East teams in welcoming Boston College to Hamden for the first time ever. Quinnipiac beat Boston College in the 2016 National Semifinals in Tampa and in the Three Rivers Classic two years ago before tying them in Chestnut Hill, MA as year ago in the season opener. This is one of Jerry York's more talented teams in the past couple of years and much more experienced than they were a season ago when these two teams met. For Quinnipiac to win they will need to play sound defense and get strong goal-tending along with getting some puck luck and outworking the Eagles for loose pucks in all three zones.